Chalkidiki Holidays - Exotic Holidays In Greece! Chalkidiki Holidays – Exotic Holidays In Greece! 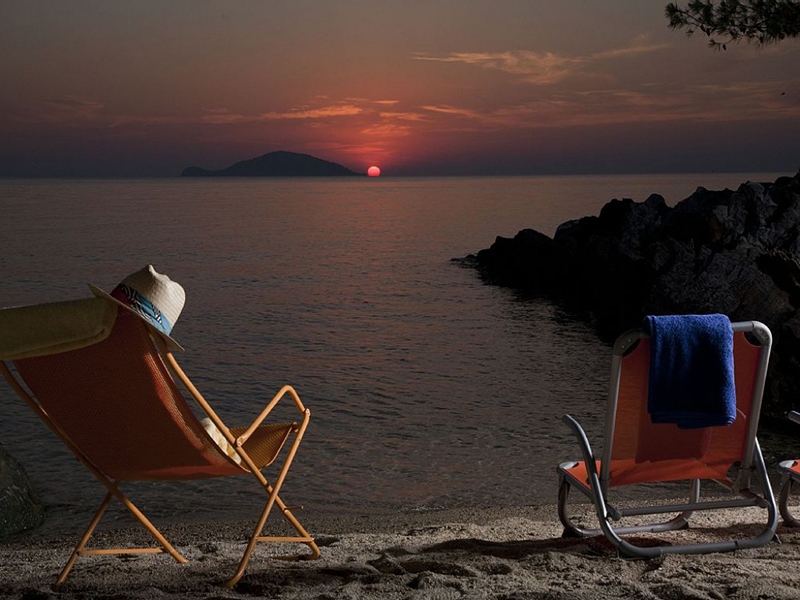 Chalkidiki holidays is very popular for anyone willing to spend holidays in Greece. Chalkidiki is located in Macedonia, in the northern region of the country. The region is actually a peninsula that is made up of three smaller peninsulas: Kassandra, which is famous for its resorts and organized beaches, Sithonia, which is less developed and has beaches that are more secluded, and Mount Athos, a region that is famous for its monasteries. 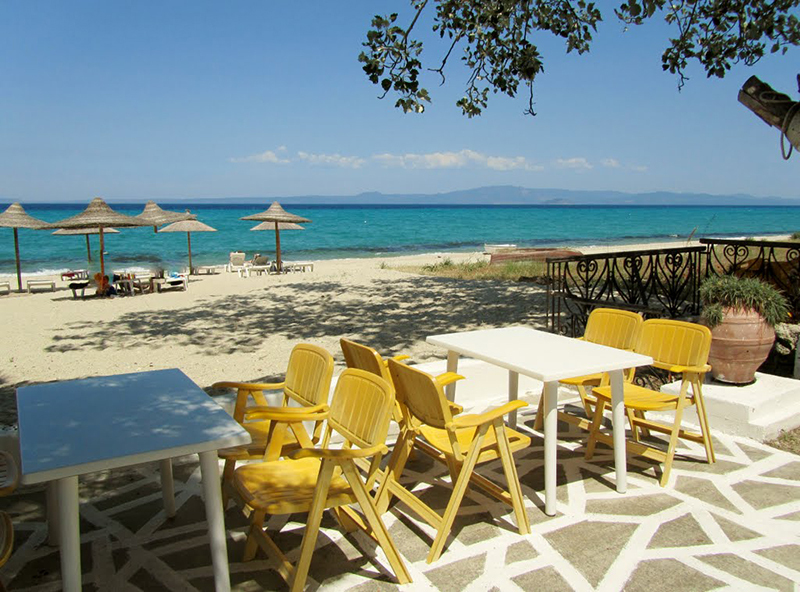 Looking for accommodation in Chalkidiki? Check out Luxury Holiday Villas in Chalkidiki! Diverse nature, breathtaking natural beauty, friendly local communities, delicious delicacies, and several miles of a white-sand coastline that pours into the beautiful, crystal clear waters of the Aegean Sea. All these make Chalkidiki one of the most popular destinations on Greece’s mainland. Below, you may have a look at how you can spend perfect Chalkidiki holidays when visiting Greece. Chalkidiki is endowed with a lot of natural beauty, breathtaking landscapes, and an amazing scenery that offers a wide variety of attraction and sightseeing sights for tourists. Here are some of the top places that you should visit while you are on Chalkidiki holidays. The Cave of Petralona is an archeological site that is located near Nea Moundania, on the western side of Mount Katsika. 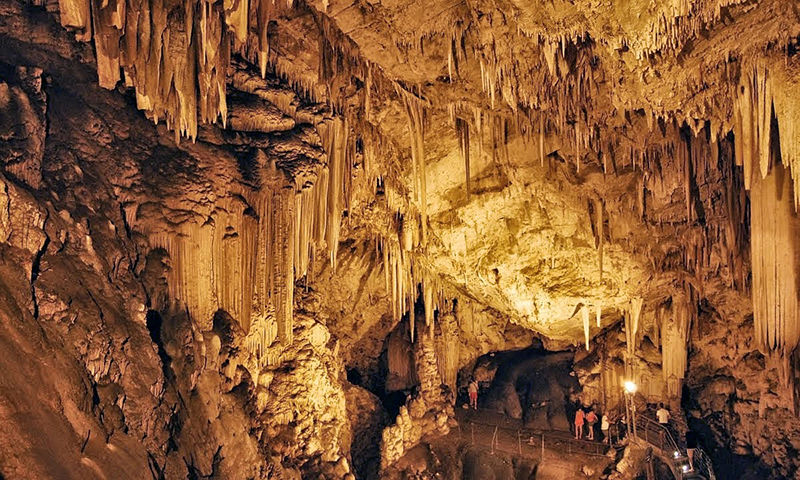 It is famous for the breathtaking stalagmites and stalactites that are found inside the cave, as well as the fossil remains of a human skull discovered in 1960 that was found to be 700,000 years old. In addition, fossils of animals and several Paleolithic tools that went extinct several thousands of years ago have been discovered in the cave. 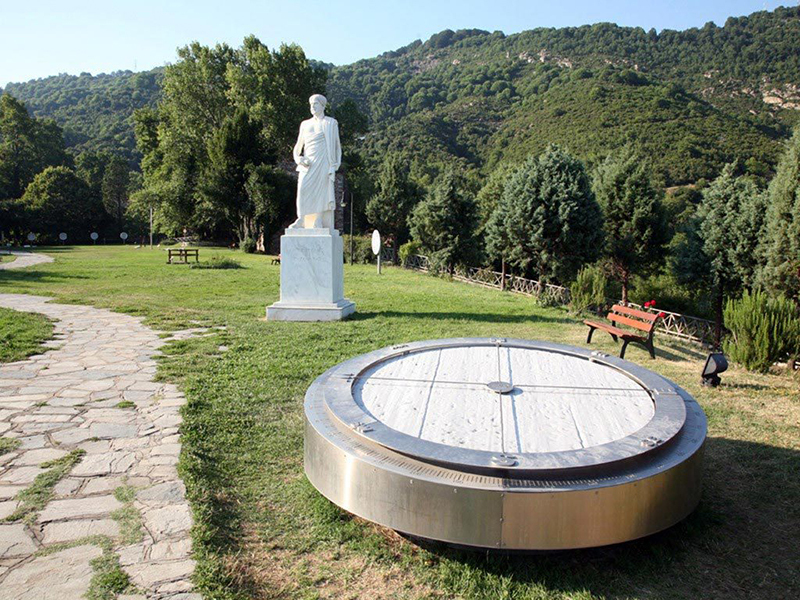 The Aristotle Park is located in the picturesque village of Stagira, and it is dedicated to the works of the famous Greek philosopher, Aristotle. Various instruments that relate to the Aristotle’s work (telescopes, solar clocks, etc.) are displayed in this scenic park, making it the ideal spot for people who want to experience the beauty of Greek and at the same time, learn about it. 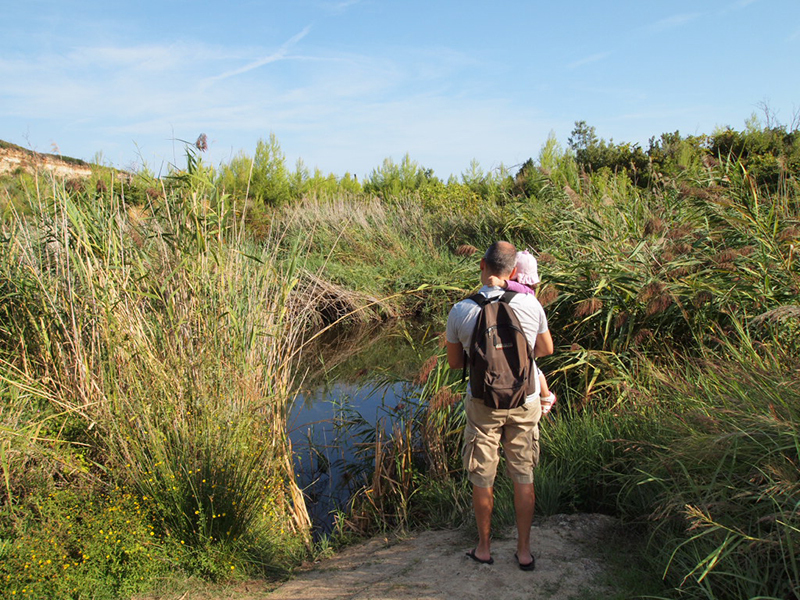 The Lake of Polychrono is located in the lovely village of Polychrono, and it is a natural home to the “Testudinata Turtles”, a rare species of water turtles. The lake features crystal clear, emerald waters, and it is surrounded by a lush pine tree vegetation, creating a very beautiful scenery. Lots of tourists spending being on Chalkidiki holidays, escape to this Greek gem, where they spend the day swimming in the beautiful waters and basking in the warmth of the sun while they lay on the golden sand beach. 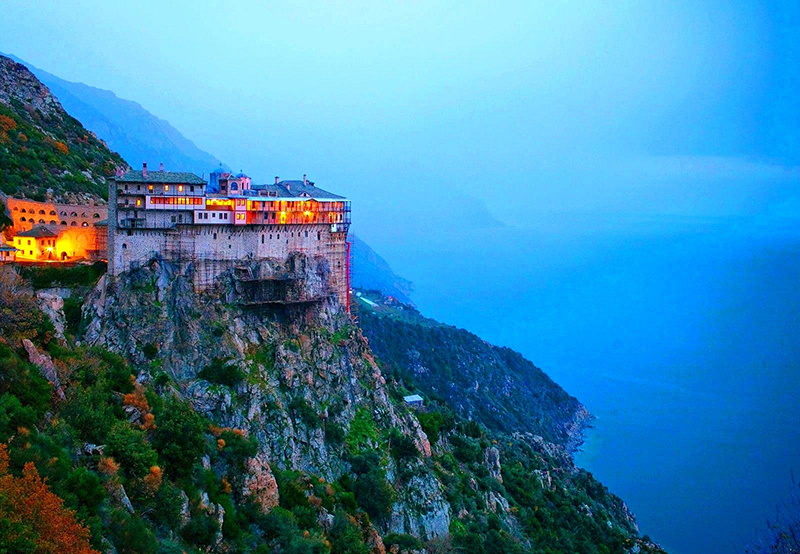 Mount Athos is a self-governed region of Greece, famous for its scenic buildings of old Byzantine monasteries. The region is closed off to women, and men must gain special permission before entering it. However, you can book a boat trip from the village of Ouranoupolis and get a ride around the coastline of Mount Athos, where you can enjoy the amazing views of the monasteries. 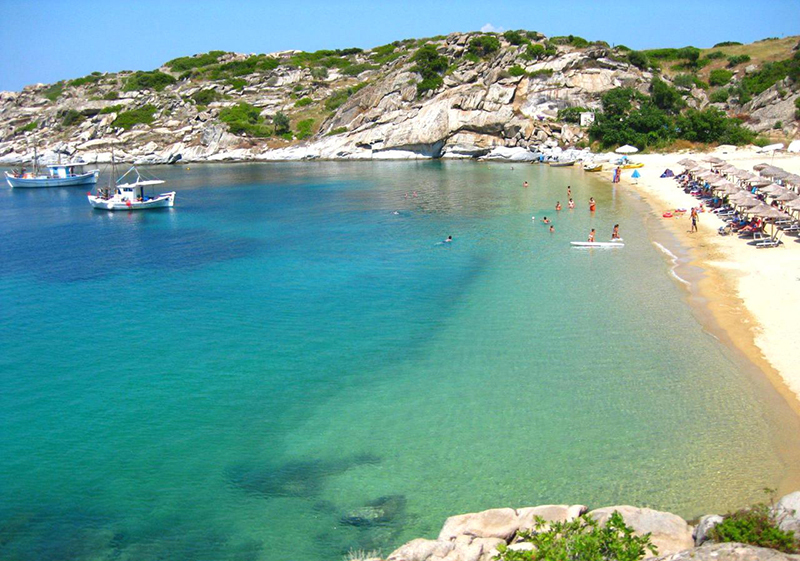 Polychrono beach is located on the Kassandra peninsula, about 60 kilometers south of Poligiros. 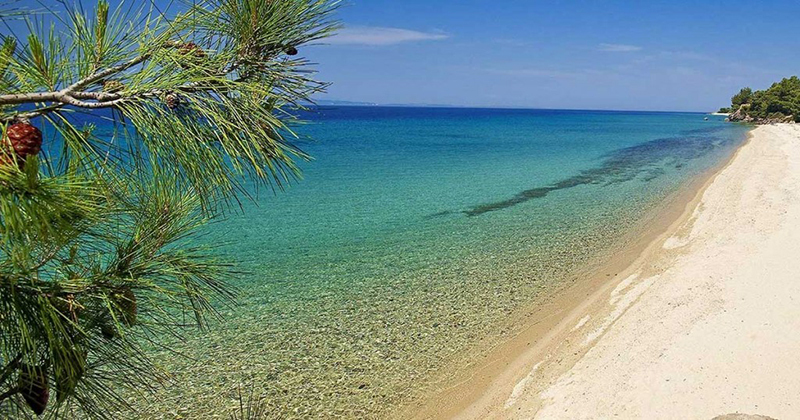 It is one of the top beaches in Chalkidiki, which is famous for its cleanliness and amenities. The beach is surrounded by a beautiful lush vegetation of pine trees and olive groves, which together with the crystal clear emerald waters and the fine, golden sand, offers a breathtaking and relaxing scenery. Sykia beach is one of the most secluded and hidden beaches in Chalkidiki, which is located in Sithonia. 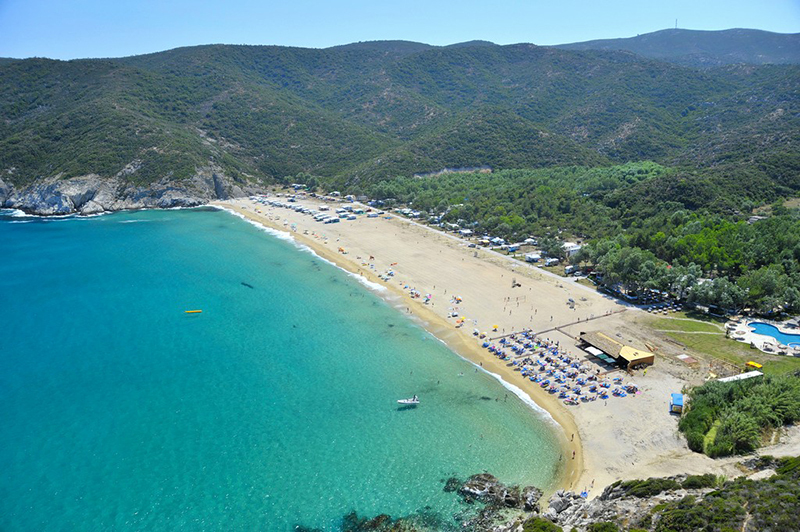 It is a very beautiful beach that is surrounded by rugged hills, which create a very scenic landscape, along with the beautiful waters of the Aegean sea and the fine golden sand at the bay. The hidden nature of the beach makes it perfect for enjoying the cool waters of the sea, the warm sun, and the breathtaking scenery that surrounds it. Kalamitsi beach is an amazing beach located on the south east side of Sithonia peninsula. It is surrounded by a beautiful natural landscape and breathtaking sapphire waters of the Aegean Sea. This, combined with the golden sand on the shores, creates a very calm and relaxing environment that offers an amazing escape from the hassles of busy urban areas of Chalkidiki. Sani beach is located about 10 kilometers away from the Nea Fokea Village. It is an amazing beach that is endowed with breathtaking blue waters and soft, fine sand on its shore. It is also surrounded by a long growth of trees, which offer an amazing shade and a very serene atmosphere. The beach is very clean, and is a popular spot for water sports, festivals, and beach parties. 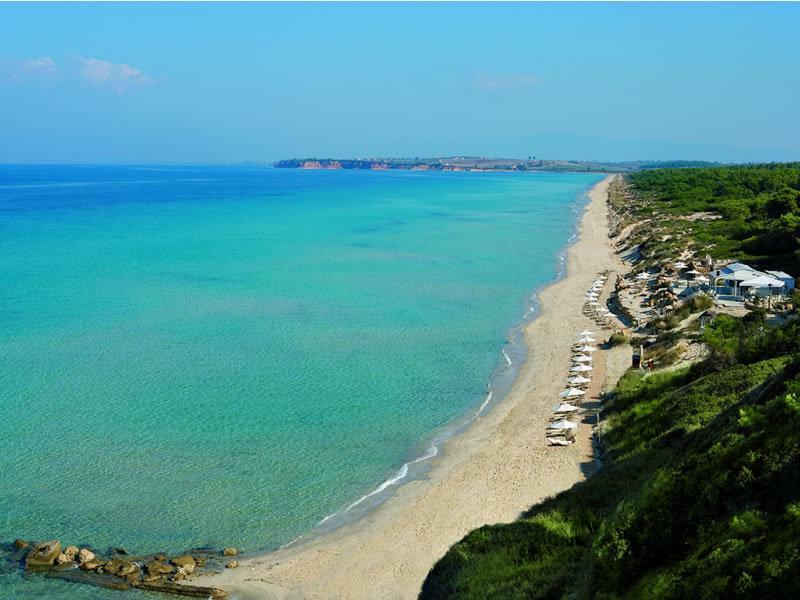 Possidi beach is located in the southern region of Kassandra, about 70 kilometers from Poligiros. It is a popular spot for tourists, which is endowed with crystal clear waters and a beautiful sandy beach. There are several hotels and resorts located close to the beach, as well as fish taverns serving local delicacies. Also, close to the beach is the impressive Possidi lighthouse, which is an iconic building in the region. Marina seafood restaurant is a popular fish tavern, located in Nea Potidea harbor, which offers a wide variety of delicious seafood dishes. The restaurant features an amazing décor that makes you feel like home. It also offers a very impressive collection of wine. Alexander The Great is a seaside tavern located in Sarti, just next to the beach. 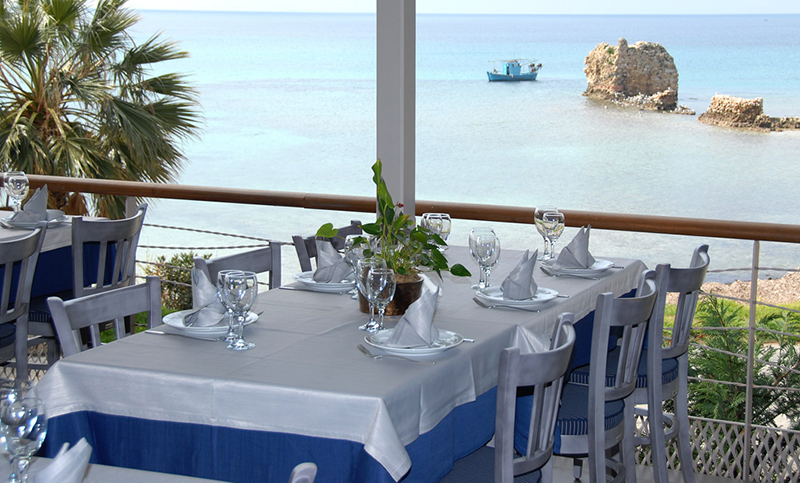 The restaurant serves traditional Greek cuisine, seafood dishes, as well as a variety of other delicacies. Its location offers an amazing view of the ocean, as well as the Mount Athos region. 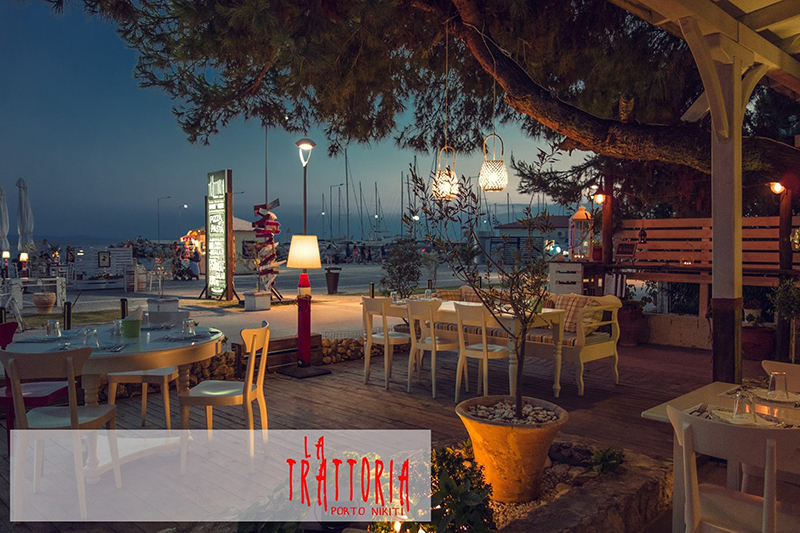 La Trattoria is an authentic Italian pizza restaurant that is located on the marina of Port Nikiti. It features an elegant decoration that gives a very romantic mood, and the dishes served here are inspired by authentic Italian recipes. Chalkidiki is one of the best travel destinations in the mainland of Greece, offering a variety of places to visit as well as things to do. From very interesting attraction sights, breathtaking beaches surrounded by natural landscapes, restaurants and taverns that serve delicious cuisines, and very friendly locals, Chalkidiki holidays has something to offer to anyone who visits it. Next Next post: Delphi Archaeological Site, The Navel Of Earth In Greece!